What's the story with these 100 Mile Club® Tees? 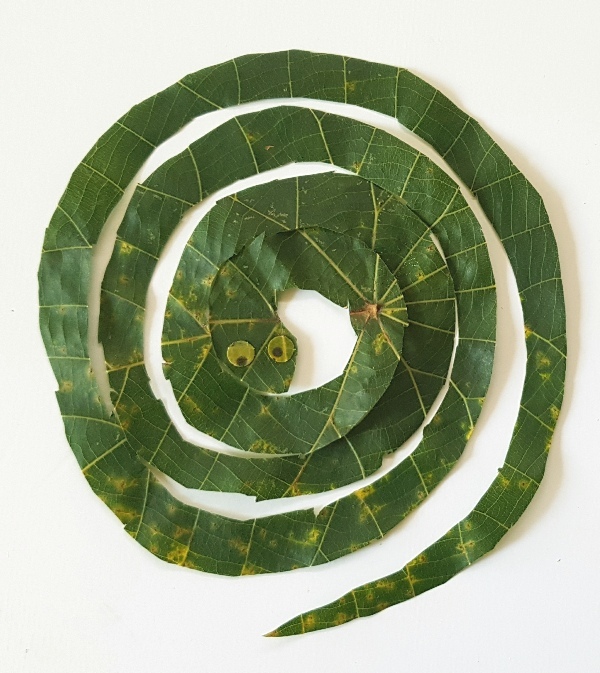 We see them everywhere! 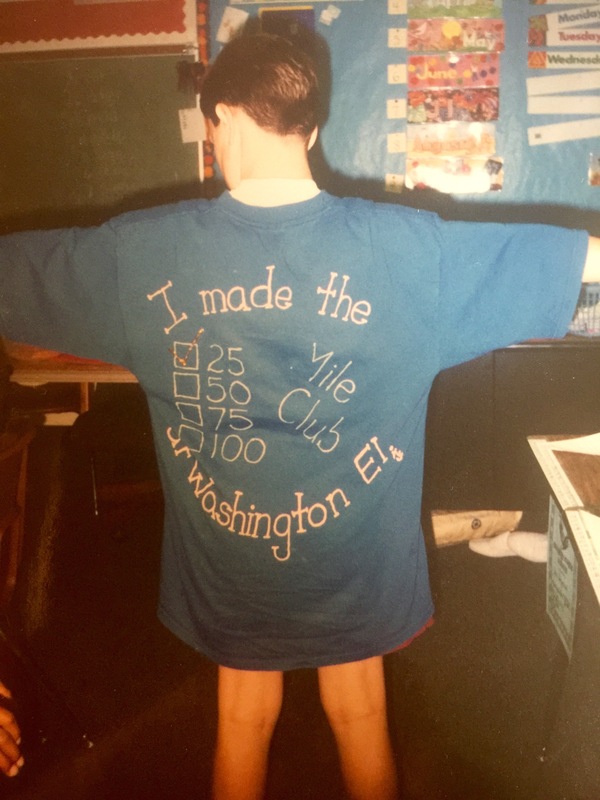 Our Founder, Kara Lubin, began hand-painting 100 Mile Club t-shirts in 1992. The TRADEMARK checkbox design on the back of the tee was invented on the floor of her tiny apartment durning her UC Riverside graduate school years. This allows participants to track their miles up to 100 and beyond by simply marking these boxes as they pass each MILEstone. 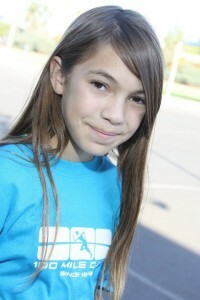 Her naughty pet rabbit (named Muffin) would run across the wet paint and ruin shirt after shirt. It got expensive! 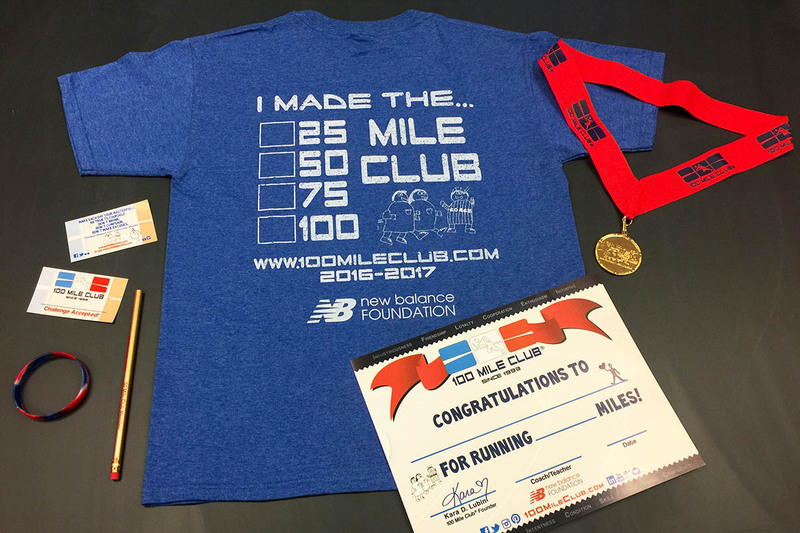 The very first 100 Mile Club® Tee, puffy paint and all! But what to put on the front?? 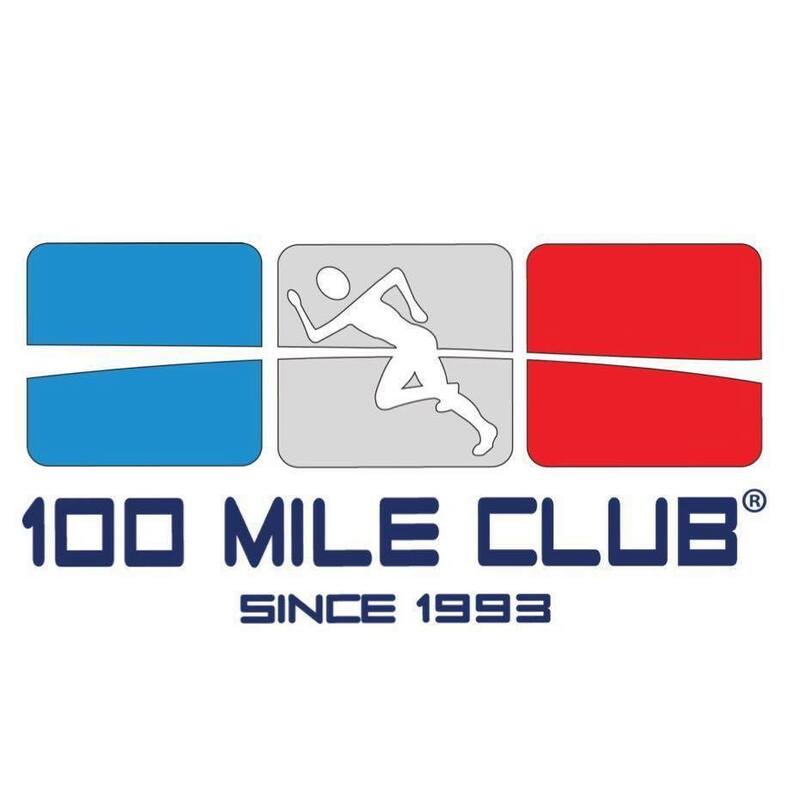 At first, 100 Mile Club did not have a professional logo (or any logo at all! 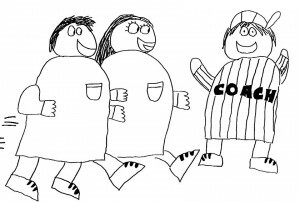 ), so she asked one of her amazing students, Brian, to draw her a boy and a girl running and a coach cheering them on. Brian’s art was always delightful, and he quickly drew exactly what she described. And to this day, Brian's drawing, affectionately named "The Brian People" remains on our tee as a reminder of who we are and how we started. 100 Mile Club® Tees change color every, single year! 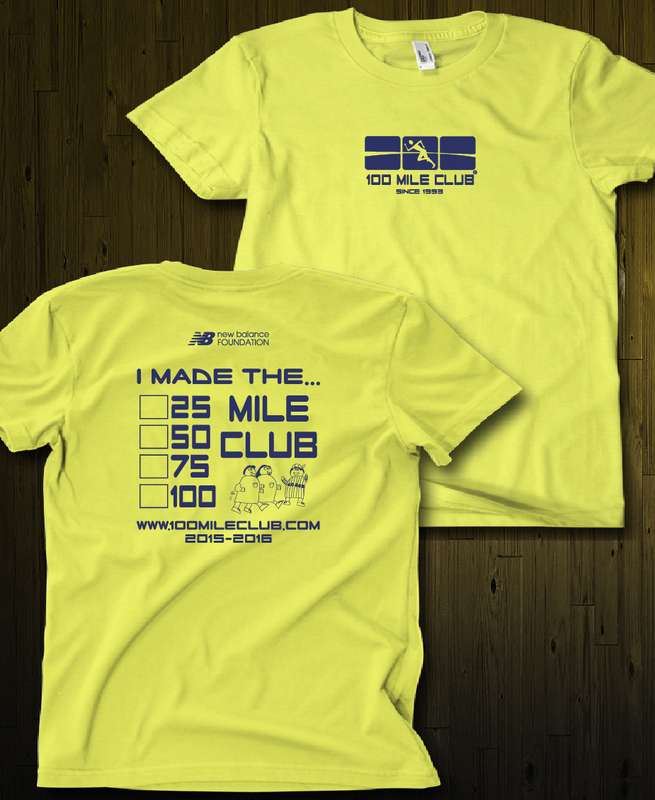 Every year, The 100 Mile Club presents a signature, exclusive member t-shirt as part of our SIGNATURE Incentive Package in our Gold Medal or Hybrid Program option for members who reach their 25-mile goal. 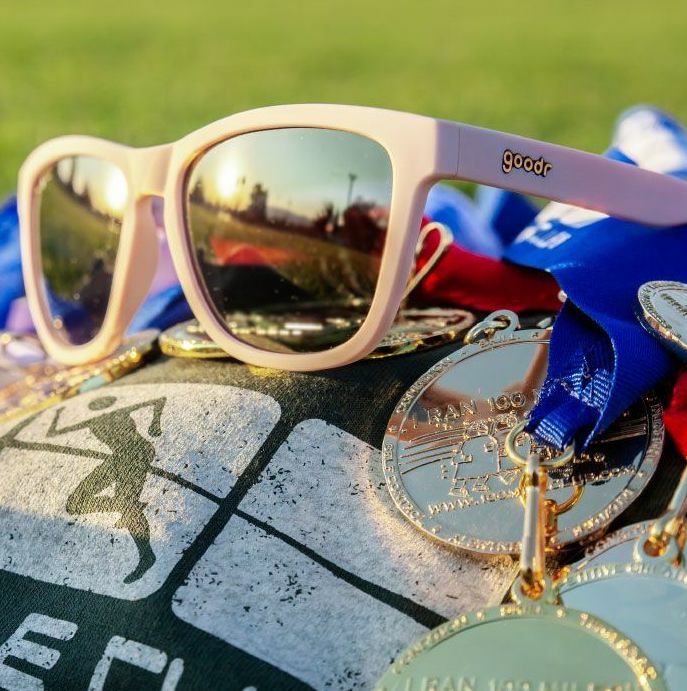 No matter where you are, who you are, or when you earn your tee during the year, your shirt will match those every, single 100 Mile Club that year. First, we want participants to be able to connect with other members across the city, state, and even the country! By synchronizing our shirt colors year to year, we allow our members to find each other anywhere: at the grocery store, at sports practices, at Disneyland, ANYWHERE! A simple, “Hey, you’re in 100 Mile Club? How many miles do you have?” followed by a smile and high-five can do fabulous things for a person. 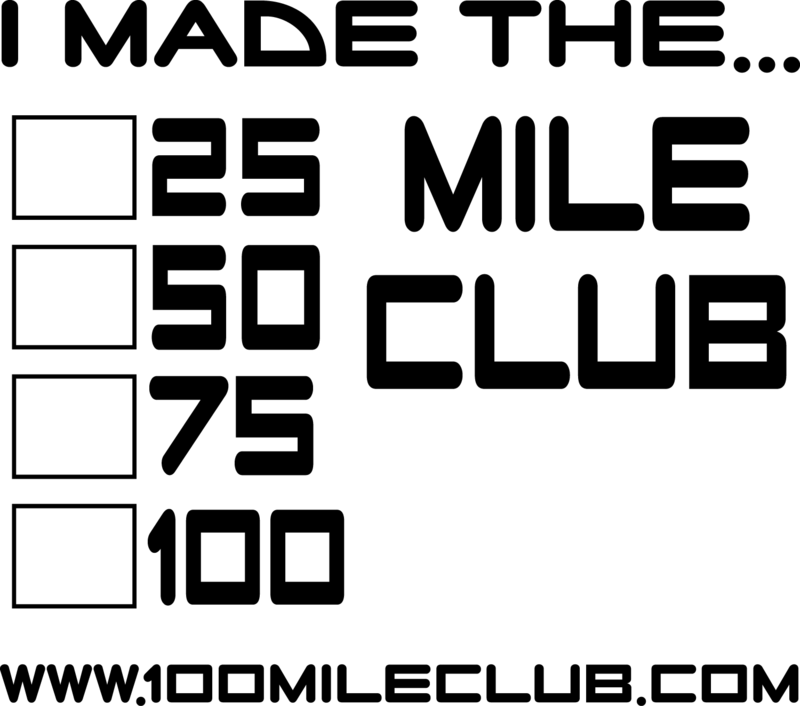 SO…look for those tees, give a smile, and spread the spirit of The 100 Mile Club. Our 2014-15 Tee on a couple of spirited runners. Next, we must acknowledge that many of our students move or change schools mid-year for a variety of reasons. By keeping all of the t-shirts the same color year to year, we honor member miles, even if they have to change schools, districts, offices, or even move out of state. All it takes is is a quick phone call to determine miles, the student member carries his/her miles to the next school, and off they go!! This has happened more times than we can count, and each time, the consistency of the 100 Mile Club message, mission, and tees have helped students connect to their new schools in a meaningful way almost instantly. By allowing this mile carry-over, we hope to make the transition to a new school a little less stressful… It works every time! Coach Traci and Jeffrey in 2011-12 Tees. 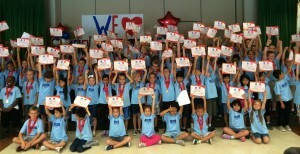 Finally, students participate in The 100 Mile Club year after year. By changing the color year to year, students can connect over time. They know which color goes with which year, and adopt a mindset of collecting as many 100 Mile Club t-shirts as possible throughout their years in school. 2013-14 Medal Ceremony with kids & their tees! At year-end medal ceremonies, students will layer their t-shirts from previous years, one under the other (or bring them if they are too small! ), and display their years of membership with true true pride. The unifying image of The 100 Mile Club can be seen throughout communities in Southern California and beyond! Just take a drive in the afternoons and you will see all of the shirts proudly displaying mile totals. 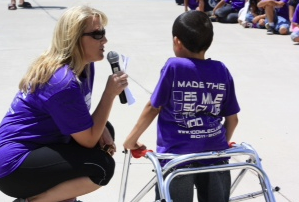 Community members begin to recognize the remarkable accomplishments of our members simply by watching students in their 100 Mile Club shirts come to their shops and businesses. Our reasons for keeping the participant shirts all the same color every year are many. 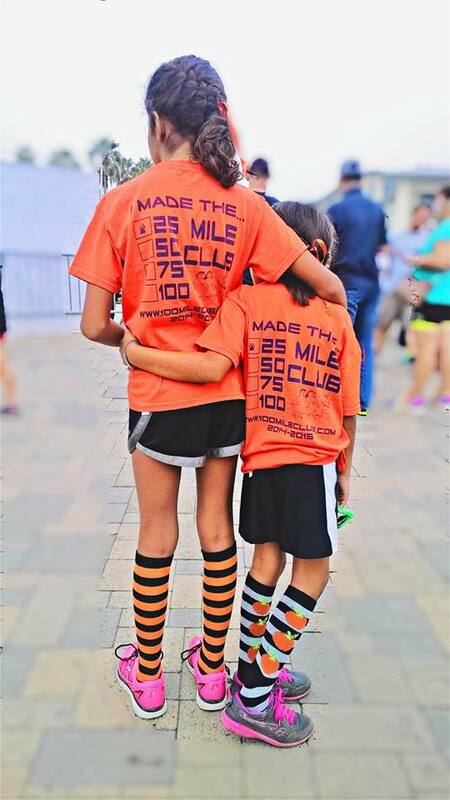 We continually strive to unify all schools (public or private), private groups, businesses, and families through the mission of The 100 Mile Club. Look for our tees and join us.